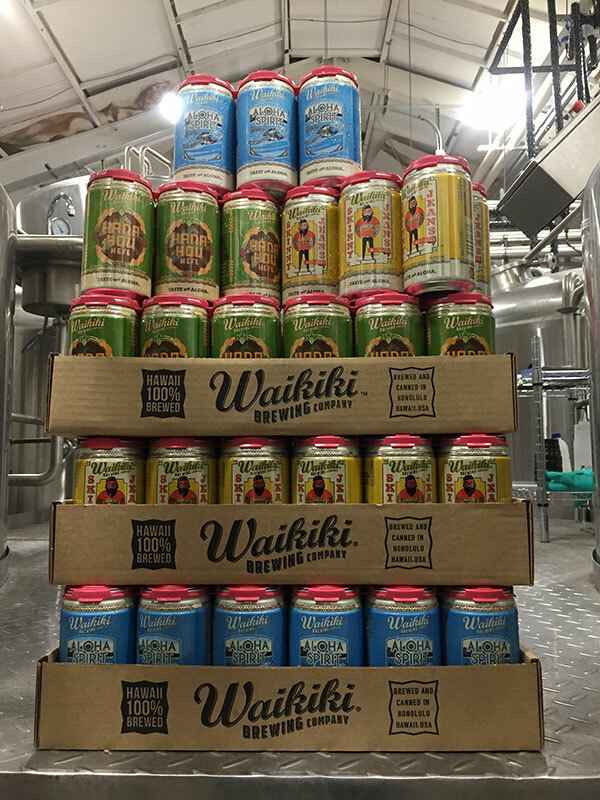 (Honolulu, HI) – Having just opened a new production facility and pub in the heart of Kaka’ako, Waikiki Brewing Company will be adding two new cans to their lineup, and are proud to announce having partnered with Johnson Brothers of Hawaii, Inc. for statewide distribution. Waikiki’s first every brewery, Waikiki Brewing Company, brews premium quality, fresh, handmade craft beer in our 7 barrel brewhouse situated at the gateway of Waikiki. In addition to our core lineup of 8 beers, ranging from a light crisp blonde to a robust porter, we also indulge the brewers’ creativity with seasonal and limited release beers. Waikiki Brewing Company opened its first location in Waikiki in 2015. The seven barrel brewhouse is capable of producing 1600 barrels a year and was at capacity almost immediately, leading the brewery to start looking for a second location. They found the ideal spot in Honolulu’s historic brewing district in up and coming Kaka’ako. The brand new 20 barrel brewhouse and high ceilings will allow production in Kaka’ako to top 9000 barrels annually, making Waikiki Brewing Company Oahu’s largest producer of craft beer.